Silver-leaf Butterwood ( Callicoma serratifolia, CUNONIACEAE ). 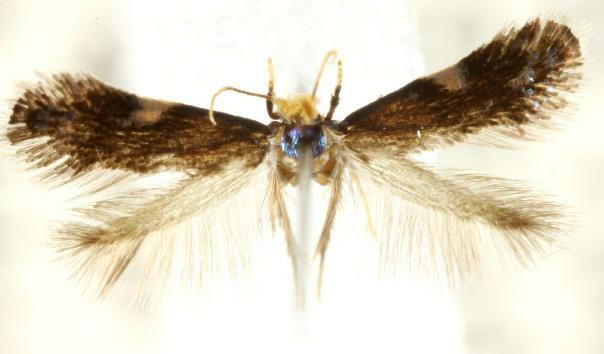 The adult moths have dark brown forewings, each with an off-white mark half-way along the costa The hindwings are pale brown with broad fringes. The head is yellow and hairy. The thorax is an iridescent blue. The wingspan is about 5 mm. Zoology, Volume 128 (2000), pp. 297-298.